Playing football on the beach in Fortaleza, Brazil. As we travel to countries torn apart by war (past or current), let’s not forget that football is the people’s game, the one happy medium from my journeys through a century of countries. Football brings the people together and in most cases, it acts as some kind of peaceful entity between people. 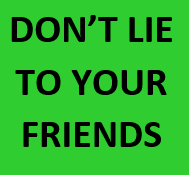 Anyone who has ever been to a World Cup will tell you that – football fans from all over the world play football together, drink together, sing together and party together. In harmony. It’s a joy to be part of the greatest game in the world. Nothing comes close. There is no other sport played by every nation in the world – every globally recognised country is a member of FIFA. I’ve been to around 200 football stadiums on my journeys, including 75 stadiums that have been used for international matches. 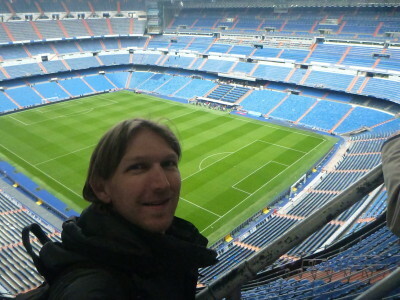 In my ongoing “top lists” from my first 100 countries, it’s time for my top 10 football stadiums. I’ve based these on personal experiences, atmosphere in the stadium, sheer size of the stadium and overall significance of the stadium in my life and my journeys. 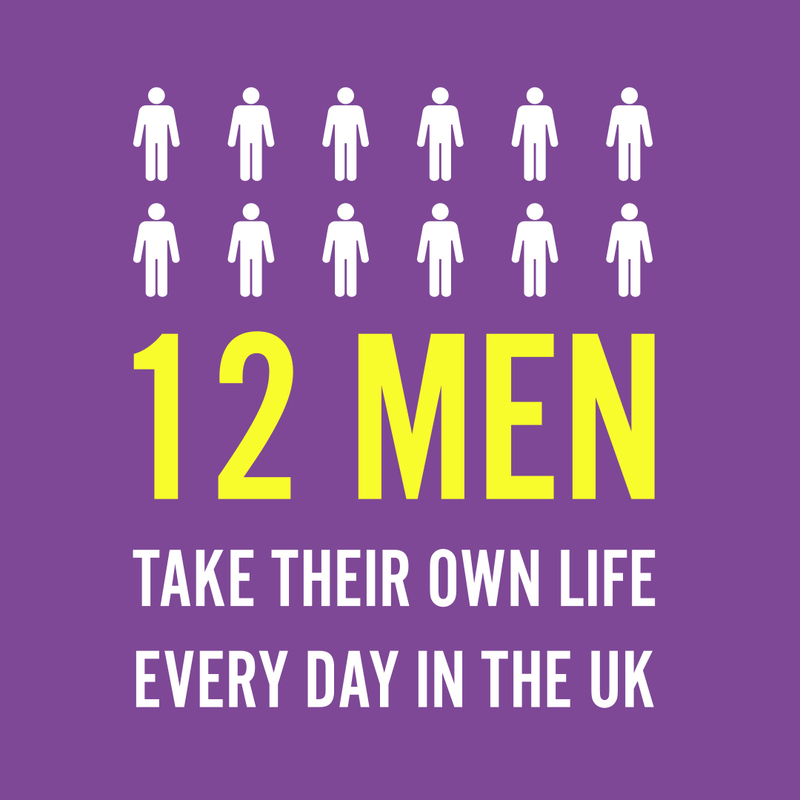 The top ten are in no particular order by the way. My first match at Dean Court was in October 2003 when I watched AFC Bournemouth (the Cherries) draw 2-2 at home to Hartlepool, inspired by Northern Irishman Warren Feeney. 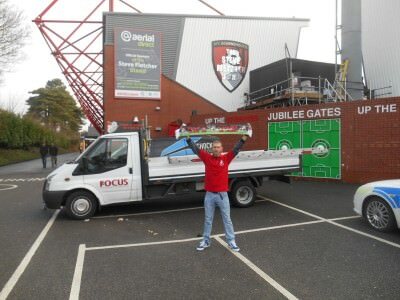 I’ve since been to over 120 matches at Dean Court, supporting the Cherries mostly in the bottom two divisions. I was there the day we got relegated at Carlisle, I’ve been involved in a pitch invasion the day we almost stayed up, I’ve been one of only 2,000 at a home game in the dark days and I’ve seen James Hayter score the fastest ever hat trick (2 minutes 20 seconds). It would be my dream to watch the Cherries here in all four divisions of the English League. 3 down, Premier League to go. It’s the Bournemouth boys making all the noise, making all the noise. My first ever top division league match was here in Belfast, watching my local team Glentoran FC play a match against Belfast rivals Crusaders in 1990. We won the match 2-0 and I’ve been a supporter ever since. I’ve watched over 100 matches at the Oval and been to around 40 away matches down the years. This season the Glens are in the Irish Cup Final and we have always been in the top division during my time as a fan. My friend Michael Whitford and I watching the Glens! 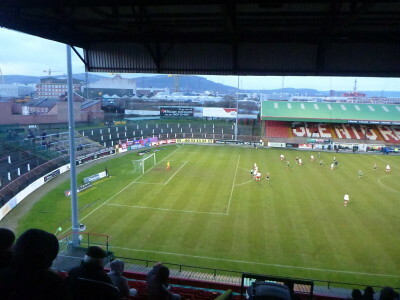 Glentoran FC at the Oval in Belfast, Northern Ireland. If you’re a neutral try and get yourself to a Boxing Day derby when you’re backpacking through Belfast. This is one of the biggest games on the island and features my team Glentoran from East Belfast against our South Belfast rivals, Linfield FC. 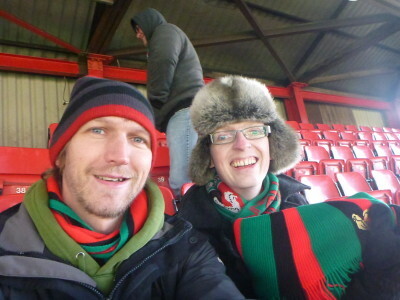 If you want a better tip, get a green, red and black scarf and get in amongst the Glentoran fans! 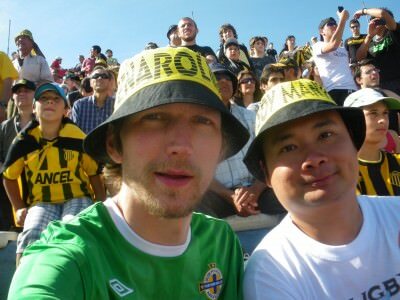 I had sheer excitement in my bones when my backpacking buddy Wesley and I got tickets for the Penarol v. Defensor top of the table clash in Montevideo back in 2010 in the Uruguayan top division. 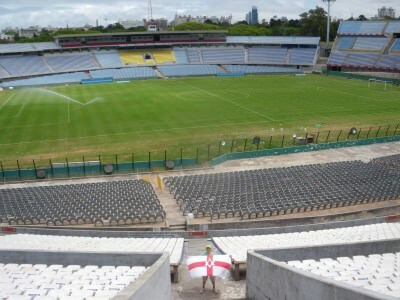 Wesley and I in the Estadio Centenario, Montevideo, URUGUAY. Amazing memories watching Penarol. On the day, Defensor won 1-0 and stayed top. I went to a further three matches at the Estadio Centenario and became a bit of a Penarol fan. The museum here is well worth the entry fee and let’s not forget that this stadium hosted the first ever World Cup Final back in 1930. Here’s an overview of the stadium tour. 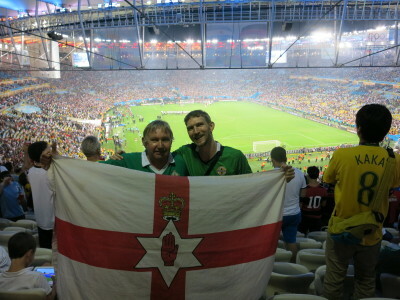 Flying the Northern Ireland flag inside Estadio Centenario, Montevideo, Uruguay. I seriously hope that FIFA do the correct thing and award the 2030 World Cup to Uruguay. The country deserves to mark the 100 year centenary with a massive celebration in Montevideo. I have yet to see more passionate people than the Uruguayans when it comes to football. Vamos Penarol! 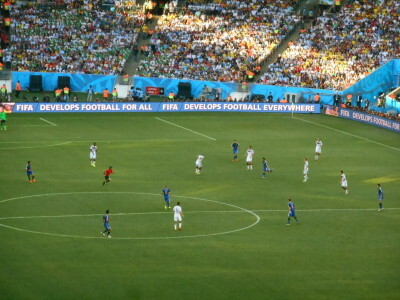 When I stood on the spot where Maradona did the “Hand of God” goal it was a beautiful moment. Diego held the World in his arms and it all happened here. Maradona single HANDedly knocked out England and Belgium with a brace in each match, before his killer pass on 85 minutes gave Burruchaga the chance to win the World Cup for Argentina. 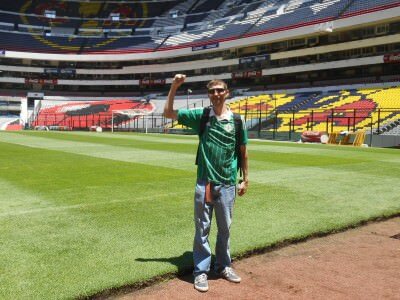 And it happened right here, in the amazing Estadio Azteca. Doing the Maradona at the Hand of God end! It’s one of the largest stadiums in the world and the biggest on this list. The Estadio Azteca was also the first stadium to host the World Cup Final twice. In the stand at Estadio Azteca. 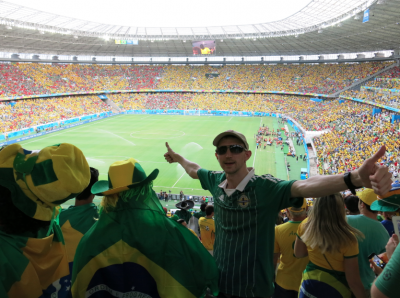 I lived my ultimate football travel dream in July 2014 when I attended the FIFA World Cup Final in the mega Maracana Stadium in Rio de Janeiro, Brazil. 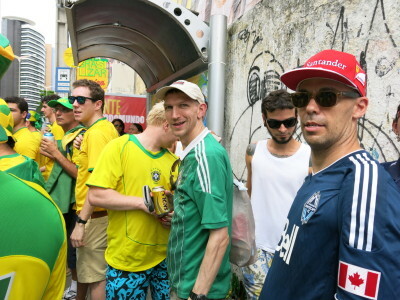 While Rio itself is an over rated, dirty city, the Maracana is not. It lives up to all the hype. I loved it. We were right behind the nets when Mario Goetze scored the extra time winner for Germany to win the World Cup 1-0 v. Argentina. It was an incredible day out with my Mum, Dad and girlfriend Panny Yu. 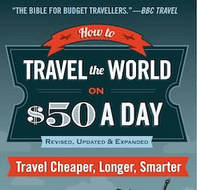 I kind of love my travel cliches too, sometimes. Especially because I love the way Barcelona play their football. They are a joy to watch with Messi, Suarez and Neymar this season. 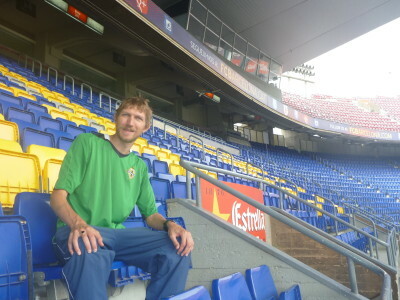 On my backpacking in Barcelona adventure, I made sure I got a Nou Camp visit in – I did the stadium tour though rather than watching a match – price wise I didn’t want to pay it, but if I go back I will try and get to a match here. I might get slagged off for including Real Madrid’s stadium in here, not just because I’ve got Barca in here as well, but because I also visited Rayo Vallecano’s stadium and Atletico Madrid’s stadium however it was the sheer colossal size of this beast which had me in awe. So I don’t care if they’re the biggest club in the world or not. 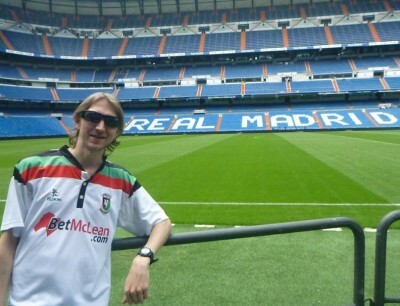 Touring the mightily impressive Estadio Santiago Bernabeau, home of Real Madrid CF. Their stadium is mightily impressive. 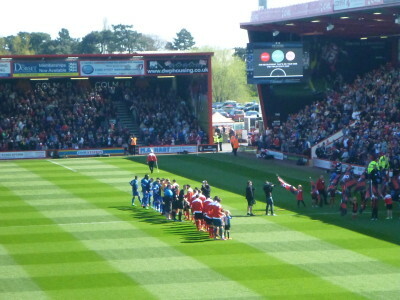 And besides they’re not an arrogant big name club as everyone suggests – don’t forget they were cool enough to play against my team AFC Bournemouth at Dean Court. And they only won 6-0, with Ronaldo netting a hat trick! 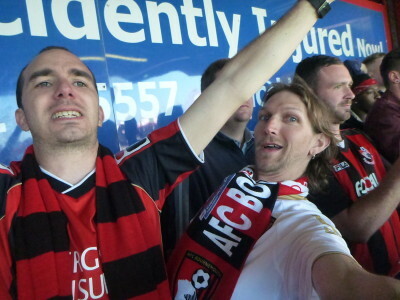 As an AFC Bournemouth fan, it was the away days that you got results and had a great day out that you remember most. I loved the old school English stadiums with proper terraces, tight stands and where away teams possessing bigger stadiums used to get scared coming to. I remember Colchester United shocked the big boys on their first season in the Championship years ago, at Layer Road. I first visited Layer Road as an away fan in 2005. I feel lucky that I got to watch Colchester United here in the home end (v. Cardiff) and as an away fan (when Bournemouth won 1-0) as well as getting a stadium tour before the stadium was sold off and Colchester United moved to Cuckoo Farm. Old school English League football at its best. 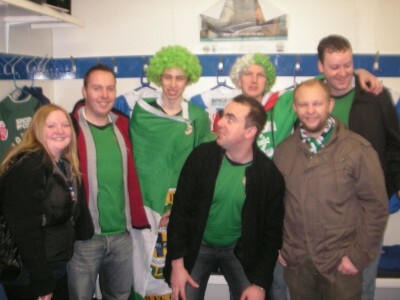 The hospitality at Colchester United FC was typical of real English League teams – we had a guided tour of the stadium in 2008 just before it was excavated and we were allowed to attend the match and supporters bar in our Northern Ireland colours as it was a supporters club day out. 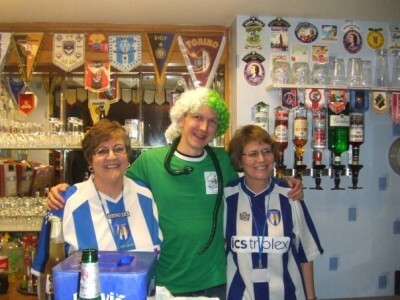 With Jeanette and Lea – the Colchester United bar ladies at the old Layer Road. 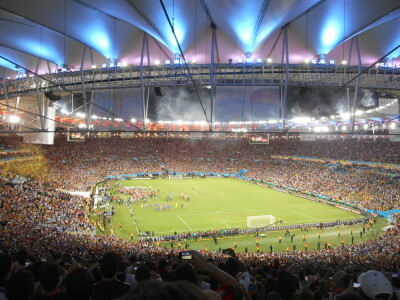 The incredible Castelao is second stadium on the list that is in Brazil. 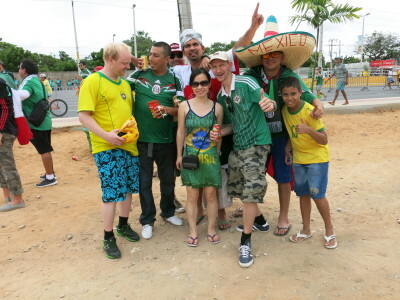 In June 2014 I headed to the Castelao in the city of Fortaleza to watch Brazil v. Mexico in the World Cup. 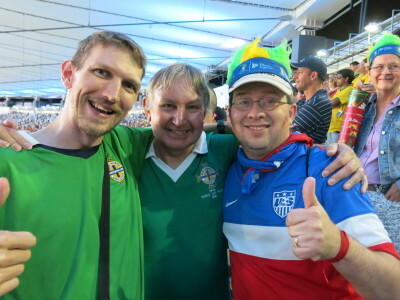 Sure the match finished 0-0 but it was a dream come true to watch a World Cup match and even weirder that it was played between Brazil (who beat Northern Ireland 3-0 in our final 1986 World Cup Match) and Mexico (which is where that match was played). Watching the World Cup in Fortaleza, Brazil. 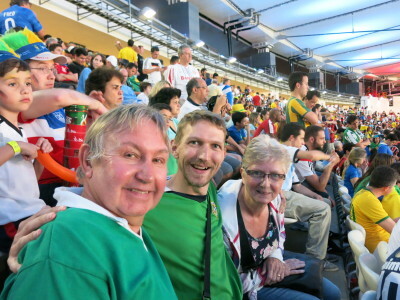 I’ll never forget the magic of my first ever World Cup match in the Castelao. It might also seem odd that I’m adding in the stadium of my team, Glentoran’s rivals, Belfast Linfield FC but there’s logic behind my madness. The reason being, this is also the National Stadium of Northern Ireland and I’ve been to around 70 – 80 matches here down the years. My first match here was in September 1990 when Northern Ireland lost 2-0 to Yugoslavia (when it existed) and my first win supporting Northern Ireland at Windsor Park was in February 1991, a 3-1 win over Poland. 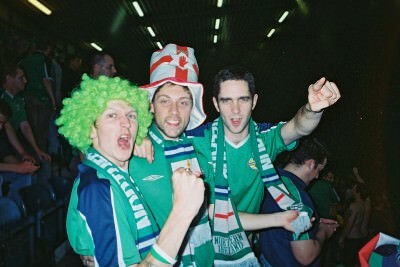 I went to every Northern Ireland home match in the 1990s and 2000s except for three (Lithuania, Albania twice), even flying back from places like England, Canada and France in time for the matches. My best memories of Windsor Park were from standing at the Kop End (West Stand) and a 1-0 win over England (2005) and a 3-2 win over an impressive Spain team (2006). 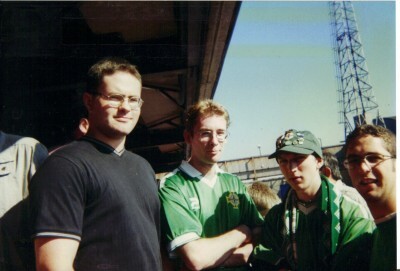 With Brendan and Mike the night we beat England 1-0 at Windsor Park, Belfast. 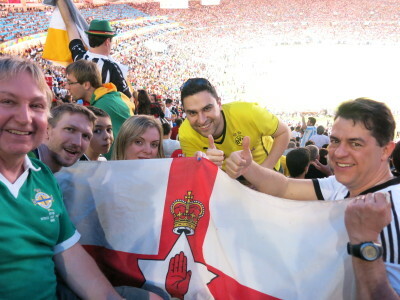 I returned to Windsor Park back in 2014 for the first time and attended the Northern Ireland v. Faroe Islands match, which we won 2-0. As I write this, the West Stand at Windsor Park has recently cracked and on the verge of collapse so it will have to be bulldozed while the other two stands are being redeveloped to give us an 18,000 all seater stadium here. 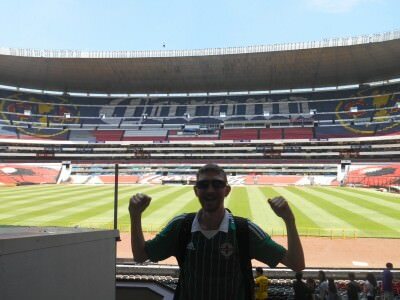 While Linfield play here, it’s the Northern Ireland national stadium so has to make my top 10 stadiums. I’ll get onto compiling my top 10 towns and villages from my first century of countries next, you may also have seen my top 10 cities and my 5 craziest moments so far. Thanks for continuing to stay connected with me and follow my journeys – or meet me on the road! This entry was posted in Football, Lists, Mexico 1986, My Top 5s, Other Football, Penarol, Sports, World Cup. Bookmark the permalink. Long time follower of the blog. Congratulations on Bournemouth being promoted to the Premier League, fantastic achievement! They’re in the Conference… they’ve had a lot of giantkilling success in the FA Cup over the years, particularly as I was growing up, but not so much in recent times sadly… maybe next season! Good luck to Bournemouth in the PL! 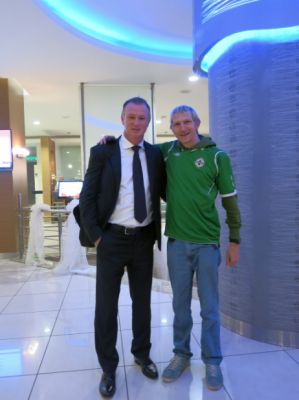 Hope you can make it to the fourth division sometime soon Paul!